This pretty vintage hat – and its matching clutch purse – are available free from the link above. 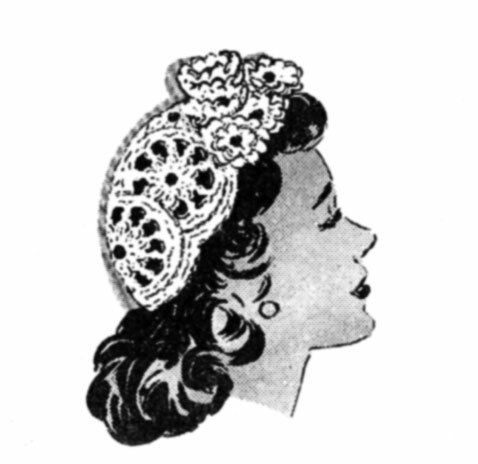 Bramcoast Publications has a run of 15 free vintage patterns for the first 15 days of January, 2011 – not all crochet, of course. This hat has potential for modern crocheters. Some pretty mohair or mohair-like scarf would make a pretty cap even without the addition of the floral embellishment. But, prettier still with the embellishments made in a variety of colors for Spring. Love it. Going to try to make it soon.